When the subject of giving is addressed it often invokes feelings of guilt. Through the years lessons on giving have more often than not been presented in a negative context. 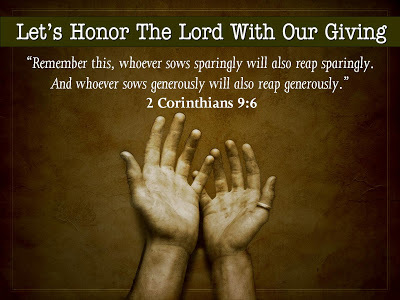 What if our focus was not on how we fall short in our giving, but rather on what could we accomplish if we did give according to the Biblical challenge of tithing? $25 billion could relieve global hunger, starvation and deaths from preventable diseases in five years. If the facts above are true, who is really “allowing” this suffering? “The real problem when it comes to our giving is not about money. Not really. Actually, the Bible says it’s about our eyes. Rather, it’s what Jesus called “the evil eye.” He said it like this. The term “evil eye” is a Jewish term. Whereas a “good eye” in Judaism refers to good will, benevolence and being genuinely happy when others prosper—the evil eye is quite the opposite. The person with an “evil eye” feels distressed when others prosper, rejoices when others suffer, loves their money and would do nothing in the way of charity. When people look at the suffering and need in the world they often see it through eyes that have been tainted by poor or limited information. For example, they judge all poverty alike when in reality it is very different. Much of the poverty in the US is poverty in a land of opportunity. At the same time poverty in developing nations is poverty without opportunity. In developing nations the daily goal is survival. There are little to no educational opportunities or available jobs. There are no government safety nets like food stamps, welfare or social security. There are few churches and those churches are each made up of people with their own financial struggles for survival. When others see money given by governments to other governments wasted because corrupt officials channel the money into their own pockets and it never reaches the people who need it they have a tendency to generalize and conclude that all money given to these nations is a waste. But what if instead of depending on governments to do the work of God Christians leaned to tithe? Think of the potential billions of dollars that could be given to established works in the field already with programs that are working with the people in need. Can you imagine what could be accomplished? Most important of all the world would see the church in action, God would be glorified, and millions would come to Christ. 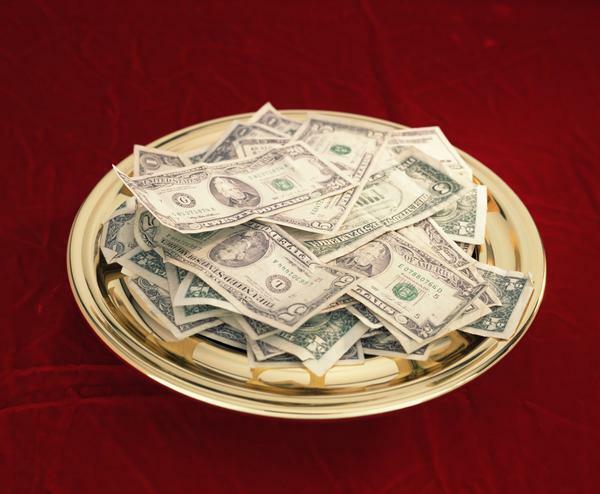 As a closing observation I think the real issue with deciding to tithe is trust! Can I really trust God to do what He says I should do, and at the same time, do I trust Him to do what He said He would do if I did? The Old Testament prophet Malachi issued God’s challenge to Israel, “Bring the whole tithe into the storehouse, that there may be food in my house. Test me in this,” says the Lord Almighty, “and see if I will not throw open the floodgates of heaven and pour out so much blessing that there will not be room enough to store it.” Malachi 3:10. Jesus said, “Give, and it will be given to you. Good measure, pressed down, shaken together, running over, will be put into your lap. For with the measure you use it will be measured back to you.” Luke 6:38. The lesson that strikes me from both of the verses may not be what you would expect. You see it is not just those in need who miss the blessing of the tithe, it the one who does not tithe that misses the promised blessings of God. That is why I say that the real issue is trust. Can I really trust God to do what He said He would do if I do what He said I should do? Not feeling blessed today? Could this be the at least a part of the reason? 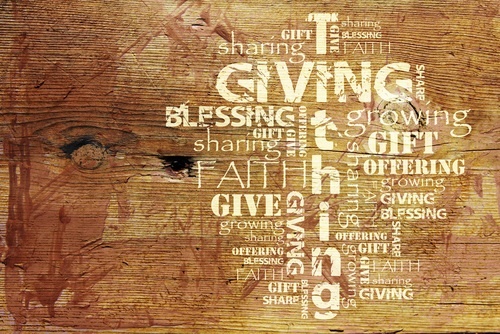 Categories: Giving, Tithing | Tags: Generosity, Giving, Tithing, Trusting God | Permalink. Gabriel Hardin presents the money he collected for mosquito nets. I love it when kids look at the problems of the world and ask, “Why doesn’t someone do something about that?” and then they do! Gabriel Hardin learned of the importance of mosquito nets in the prevention of Malaria and decided to collect money to buy nets. 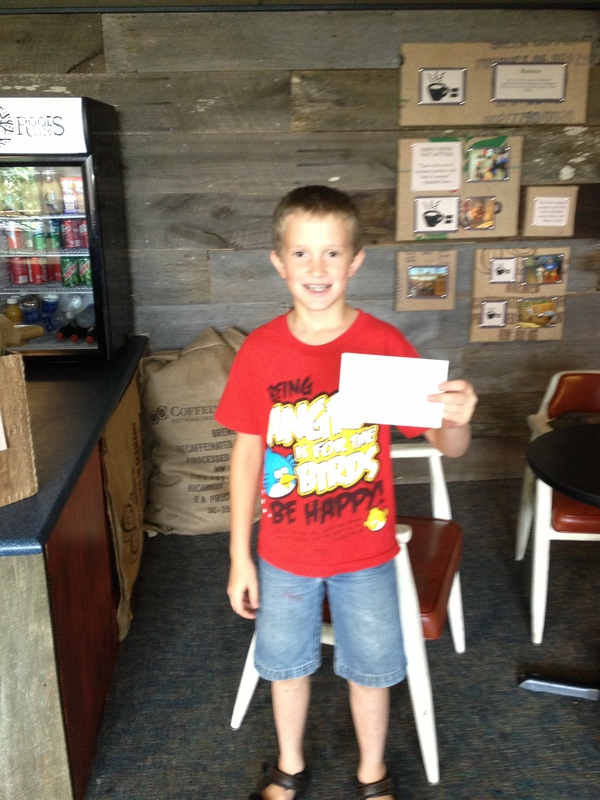 Gabriel began contacting his friends and family and on Monday presented me an envelope containing $100. That is enough to buy 10 nets and will protect at least 10 children. In many cases one net will protect more than 10 because multiple children can sleep under one net. There is a great lesson in Gabriel’s story. It is simply this. None of us can do everything, but all of us can do something to save lives and alleviate suffering. 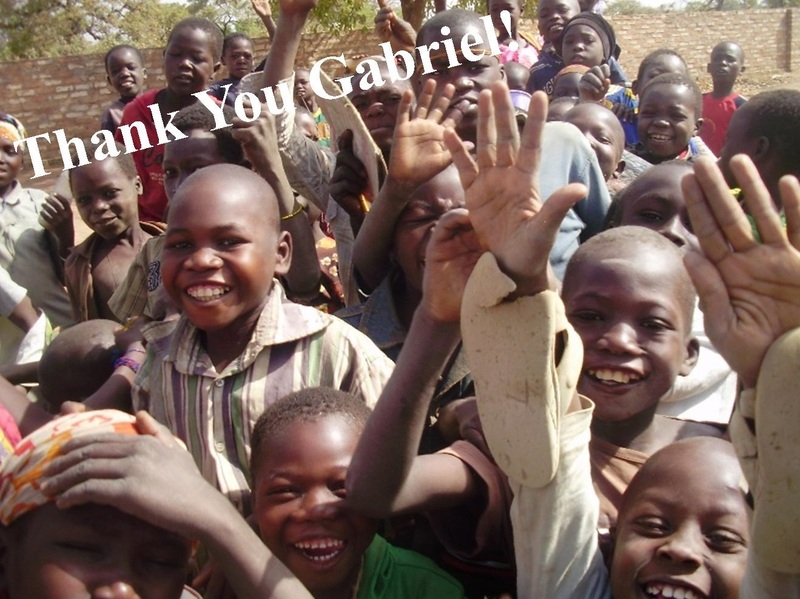 Thanks Gabriel for being Jesus to the children of Dono-Manga, Chad. Categories: Dono-Manga, mosquito nets | Tags: Children, Dono-Manga, Mosquito Nets | Permalink. A Goal To Bring Lasting Change…We are making progress! As discouraging as these figures can be, we are making progress! The global mortality rate from malaria has dropped 25 percent since 2000. In Africa, the malaria death rate has fallen 33 percent in the same time frame. Vaccination programs have resulted in a 74 percent decrease in measles deaths worldwide. God calls us to not only meet these needs, but to empower people for sustainable and lasting change. 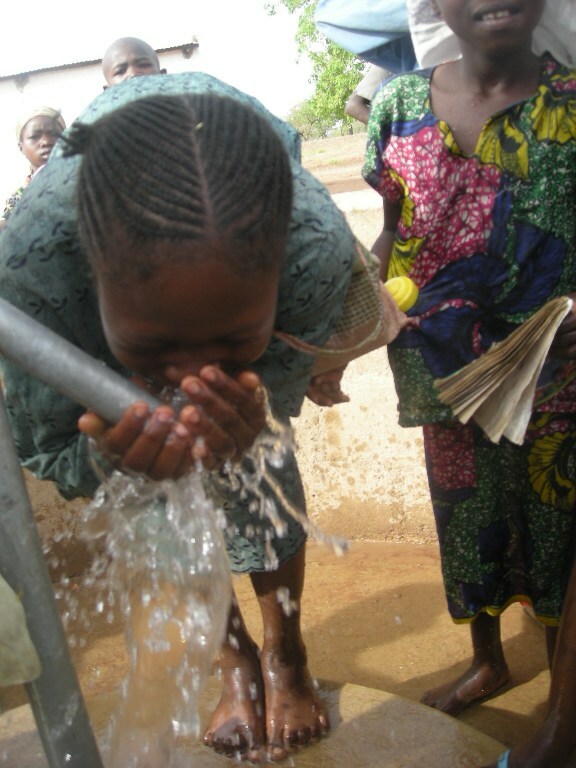 Hope Springs International provides deep water wells, affordable health care, training in dry season farming and animal husbandry as a means to accomplish these goals. Each project is planned with an exit strategy in mind and a time line when each work will stand on its own with minimal or no ongoing support will be needed. Even our orphanage is being structured to one day be able to function without the need of outside support. “If you pour yourself out for the hungry and satisfy the desire of the afflicted, then shall your light rise in the darkness and your gloom be as the noonday. And the Lord will guide you continually and satisfy your desire in scorched places and make your bones strong; and you shall be like a watered garden, like a spring of water, whose waters do not fail.” Isa. 58:10, 11. Categories: Child Mortality, Clinic, Drip Irrigation Farming, Jordan Health Center, New Wells, Water, Well Drilling, Well Repair, World Hunger | Tags: Agriculture Campaign, Chad, Child Mortality, Clinic, Dono-Manga, Jordan Health Center, Life Saving Drugs, Mosquito Nets, Preventable Death of Children, Water, Water Born Disease, Wells, World Hunger | Permalink.